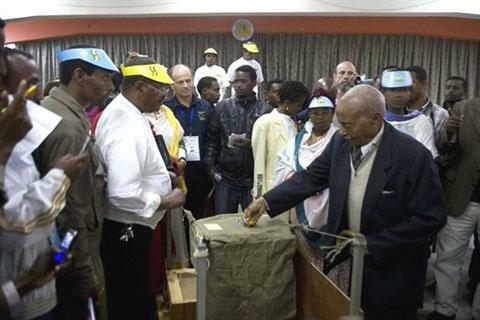 Tens of thousands of EPRDF supporters celebrated the win at a rally in Addis Ababa Tuesday. However, the EU observer mission says it saw government resources being used to help the ruling party during the campaign. Chief observer Thijs Berman says the mission also received complaints of harassment and intimidation. Read more….